I'm a very reflective person (biggest reason why I blog), and lately I've been thinking a lot about my time out in Northern California. I'm more than halfway done and I'm starting to get very sad! I love it out here and I've learned a lot so far. For a little more background, I'm out here interning for the summer. I'm working in social media for a small non-profit and I love it. The people are great and its a very relaxed atmosphere where I feel encouraged to learn and share my ideas. At the beginning of August, I head back to finish my last year of school. If you saw my room at home or during the school year you would not see very much wall space. I like to decorate with pictures, posters, inspirational quotes, and Bible verses. I like questions, lists, and diagrams. Since my home out here is very temporary, I don't have much up except a wall calendar that I made on Shutterfly at the beginning of the year. It keeps a little bit of my family and friends close by while I'm halfway across the country. 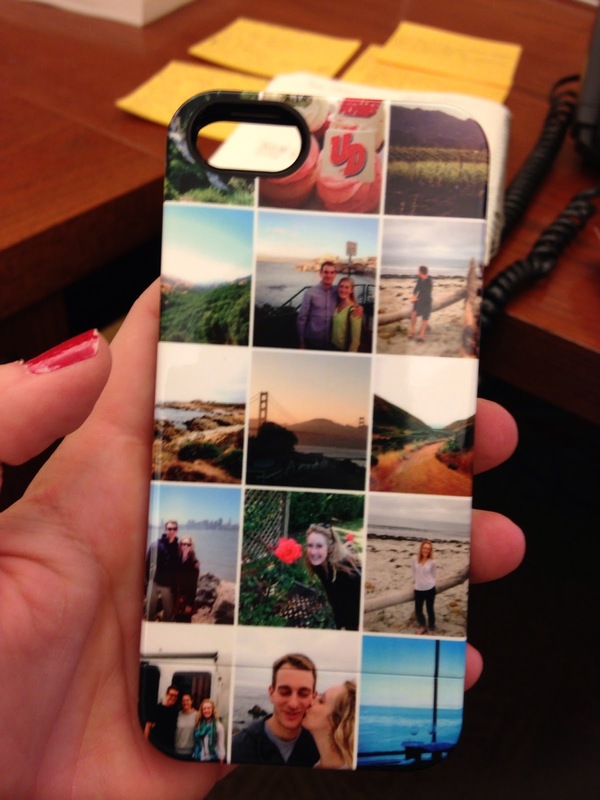 I was on the Shutterfly website recently and I saw their fairly new line of customizable phone cases. I have lots of pictures and my phone is with me all the time so I decided to make my phone into my own memory wall! They had a bunch of different options, but I liked the one above because it allowed me to add the most pictures. I chose some of my favorite places like Napa (top right), my favorite trips like Monterey, and of course my best friend and adventure partner Matthew. I really liked how it turned out so I decided to share it with you. I've gone through MANY cases and I can already tell that this one is stable (chip resistant! yes!). It also didn't warp any of my pictures which I was nervous about. My last case covered up the bottom corner of the camera and this one allows me to use my phone easily without any issues. Being the social media geek that I am, I also found an infographic on phone cases from Shutterfly. Check it out here. They also have awesome deals and discounts so I recommend joining their email list for updates. Hope you are having a great summer! I would love to hear what you guys are up to and what types of recipes you are looking forward to for the fall.